Oscar León is an experienced international press correspondent and documentary filmmaker based in Arizona. 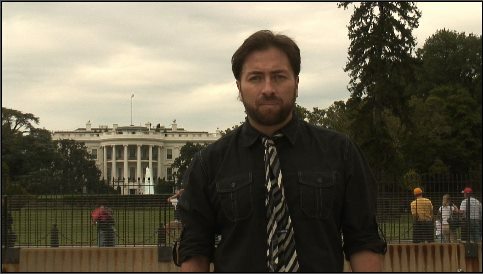 His work has reached continental TV broadcast in many occasions on Telesur, ECTV, Ecuavisa, Radio Canada, Canal Uno and even Fox Sports Latin America and El Garaje TV; he has been a TRNN correspondent since 2010. Oscar has reported from as many as 9 countries and more than 12 cities in US; his coverage includes TV reports, special reports and TV specials, not only covering social movements, politics and economics but environmental issues, culture and sports as well. This includes the series “Reportero del Sur”, “Occupy USA – El Otoño Americano”, “Habia una vez en Arizona”, “Motor X” all TV mini series broadcasted to all Americas and “Once upon a time in Arizona” finalist in Radio Canada’s “Migration” 2010 contest.